Birth Control Pills: I Wish My Doctor Had Told Me About The Dangers! Many women take birth control pills without being aware of the serious health implications of these pills. Doctors prescribe pills to young ladies from the age of 16, some to help them regulate their menstruation, to reduce pre-menstruation symptoms, acne and other hormonal problems. Often there is no question about their lifestyle and diet, much less the underlying reasons why these young ladies have this problem in the first place! I wish my doctor had told me about the dangers of birth control pills when I started taking them decades ago. Until today, I still suffer from the damage that birth control pills had caused to my liver. Birth control pills are oral contraceptives often prescribed to women to prevent unwanted pregnancies. A normal, healthy woman typically ovulates once every month. The ovary produces a new egg that will travel down a fallopian tube to the uterus where it would implant, if met with a sperm and fertilized. If not fertilized, the egg and the monthly uterine lining will leave the body as period, cleansing your system and preparing for a new month. 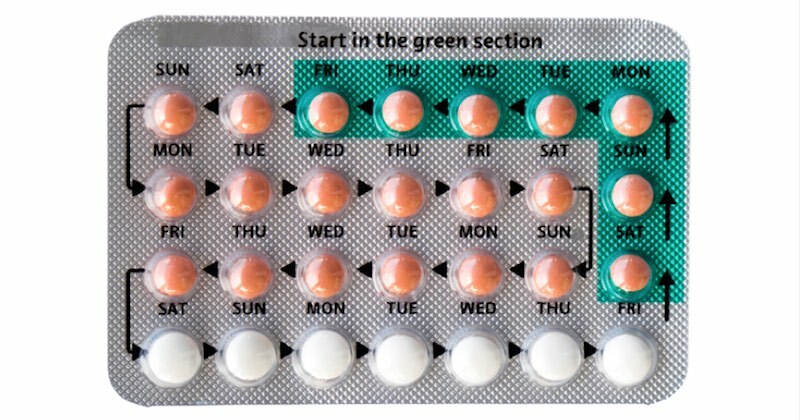 Many birth control pills contain high levels of synthetic estrogen that fools your brain into thinking that you are pregnant and that you don’t need to ovulate. Your body naturally stops egg production when you’re pregnant because there cannot be another pregnancy. When the body does not ovulate, then no egg is released thus there is nothing to be fertilized and the woman cannot get pregnant. This is what manmade drugs do, they mess up with your body system that should be occurring naturally. It is frightening that the consequences are not discussed with or made known to the young ladies who are on the pills. What Are The Dangers Of Being On The Pill? A woman is designed with natural rhythmic cycles of rising and falling levels of estrogen and progesterone every month. When you take birth control pills, your body is kept at constantly high levels of estrogen, leaving progesterone level low and creating an imbalanced hormonal environment. There are many more indirect harm that can come from taking the pill but we will discuss three very important conditions below. These should be reason enough to stop taking them. Anything that compromises your blood, liver and increases risk of diseases in any way should not have a place in your life. Estrogen oral contraceptives have long been associated with an increased risk of blood clotting in the veins (called venous thromboembolism). The risk is increased with the dosage and length of use. Studies show that birth control pills that contain progestin have an even higher risk of blood coagulation that could lead to stroke and heart attack. Some of the symptoms of thrombosis include shortness of breath, chest pain with deep breathing, nausea and rapid pulse. Enlarged Liver: Birth control pills can cause blood clots to form (thrombosis) in the veins that carry blood to the heart. This can lead to an enlarged liver, abdominal pain, fluid collection in the abdomen and liver failure. Gallbladder Stones: The constant high levels of estrogen increases bile cholesterol and decreases gallbladder contraction, which can lead to formation of gallstones. The risk of gallbladder disease rises with the length of time a woman has been on the pill. Learn how to naturally flush out gallstones. Many women have yeast overgrowth from being on the pill for any number of years. Most often, they may also have hormonal imbalance, thyroid dysfunction, chronic fatigue, constipation, anemia, low-blood pressure, and experience infertility after going off the pill. Being on the birth control pill (as with being on any antibiotics and medications) on a long-term basis will destroy the beneficial bacteria in your intestines. Our beneficial bacteria have many functions in the body and when they are in very low count, the harmful pathogens (viruses, parasites, yeasts) take over and significantly lower your immunity, making you susceptible to many diseases, and to parasites and yeasts overgrowth. When your immunity is low, your body is no longer able to fight any sickness, nor ward off common colds and flus. When harmful pathogens outnumber the beneficial bacteria, viruses stay in your body, parasites and yeasts multiply until they completely take over. This is the perfect environment for infections to take place, as well as chronic diseases and cancer. Learn how to clean up your body of Candidiasis and totally eliminate parasites. It will be a long process but one that will be necessary after being on the pill for some time. If your doctor had prescribed the pill to regulate your menstruation as in the case of PCOS, or to treat other hormonal problems, be armed with this knowledge and discuss with your doctor for safer alternatives. Better still, visit a naturopath doctor who can advise you natural ways of treating your hormonal problems without causing an imbalance to your hormones.